Yes, that's right... sometimes I still sew. 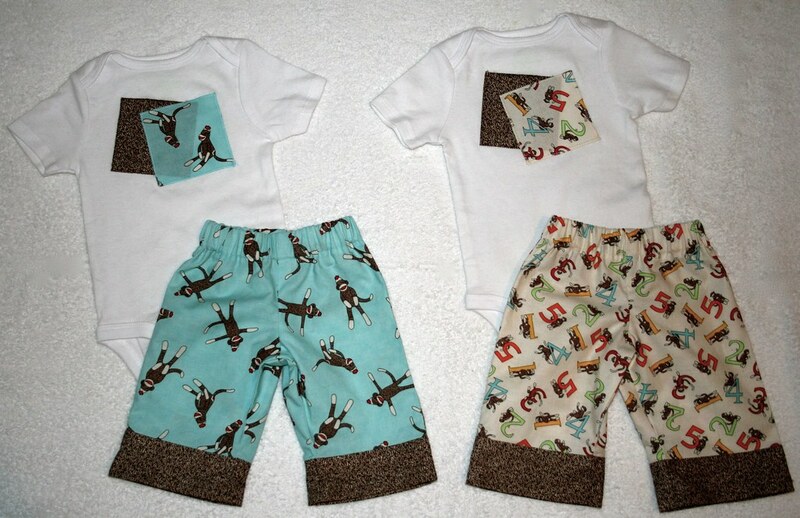 I'm actually doing a lot of sewing lately, but this particular project was at the top of my priority list. One of my best friends, Heather, recently had her first baby. It was a difficult pregnancy and while it was expected that she would go into early labor, going into labor at 26 weeks wasn't exactly something you can prepare for. Her baby girl stayed put for a couple more weeks, but decided she couldn't wait any longer to meet her awesome parents and made her grand entrance at 28 weeks. She was so tiny, but man was she a fighter. From day one, that much was clear. And that's why her parents named her Eloise - which means "warrior." I've honestly never heard of a more amazing premie... aside from being small and needing to develop a bit longer, she had zero serious complications and has been home for a few weeks now. I was actually hoping to have this done by the time she got home, but let's be honest, I'm rarely ever that on top of things. Anyway, here it is... a special quilt for a very special baby girl. I hope it brings her comfort in those rare moments when she's not feeling so strong. A couple tips for these pants... 1) Use 3/4 inch wide elastic or make the casing for the elastic a little bigger because the 1 inch elastic was a really tight fit. 2) Make the pants about 1-2 sizes larger than you think you'll need. Will is 5 months, a bit small for his age, and just started wearing 6-9 mos. clothes. 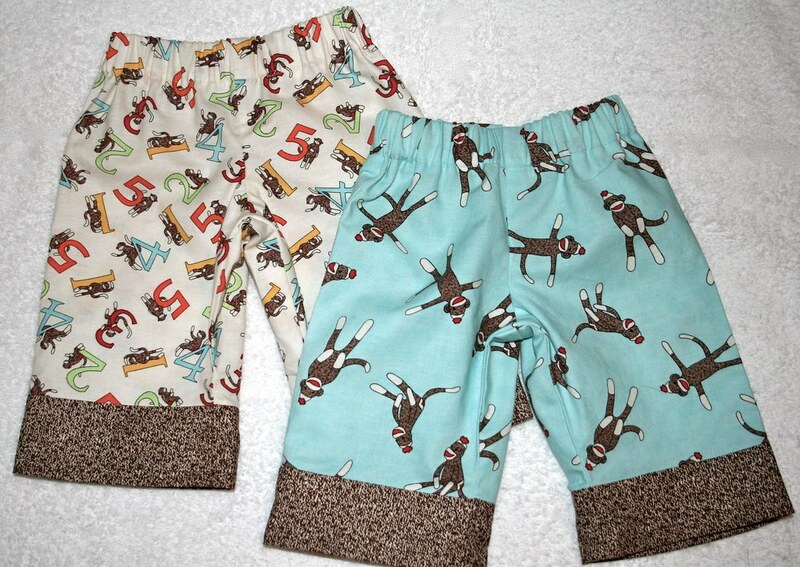 I thought I'd be safe making the pants size 6-9 mos. but they were pretty snug around his diaper. They'll be fine for him for only another month or so, which is why I'll be making him 2 more pairs in a bigger size. For Lindsey I aimed for a combination of pampered and practical. I'd been dying for an excuse to pick up Amy Butler's new Love collection, and thought it would be perfect to use for a little library tote since Lindsey's a regular at the Berkley Public Library. 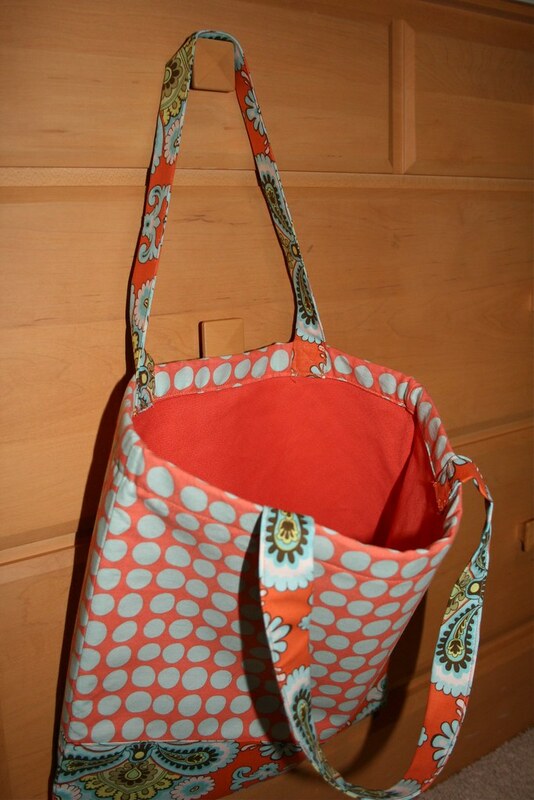 I used Lotta Jansdotter's Simple Tote pattern as a starting point, and added lining using some leftover fabric from Lindsey's Weekender Bag. 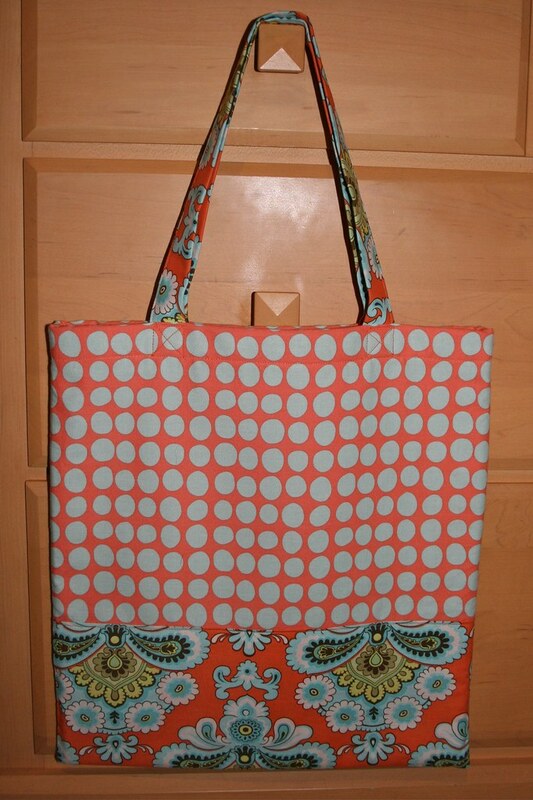 This bag was super easy to make and the lining added a nice finished look to the original pattern. I used the bag as gift wrapping and threw in some Philosophy Amazing Grace bath products (the pamper part), and the Exhale: Core Fusion - Pilates Plus DVD (the practical part.) Lindsey loves working out but as a new mom doesn't have a ton of time, so the 10 minute workouts on this DVD are a great solution. But why stop there when onesies come in packs? 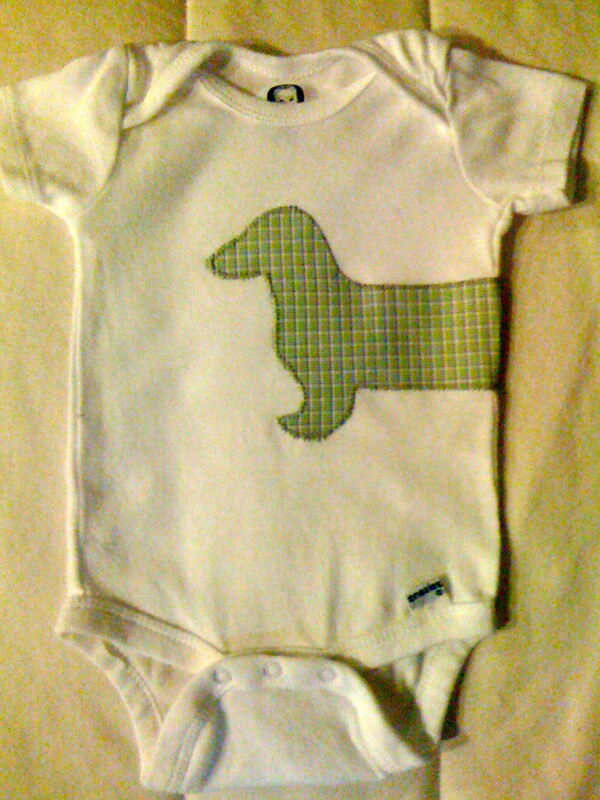 :-) The dog in Will's life is a sweet little dachshund mix Lindsey's parents adopted named Kallie, so I created my own doggie template and used one of the hubby's old dress shirts for the fabric. And lastly, I had to make sure Will was decked out in some one-of-a-kind Spartan gear - which Lindsey was sweet enough to put on him when he went for his 3 month pro pics.